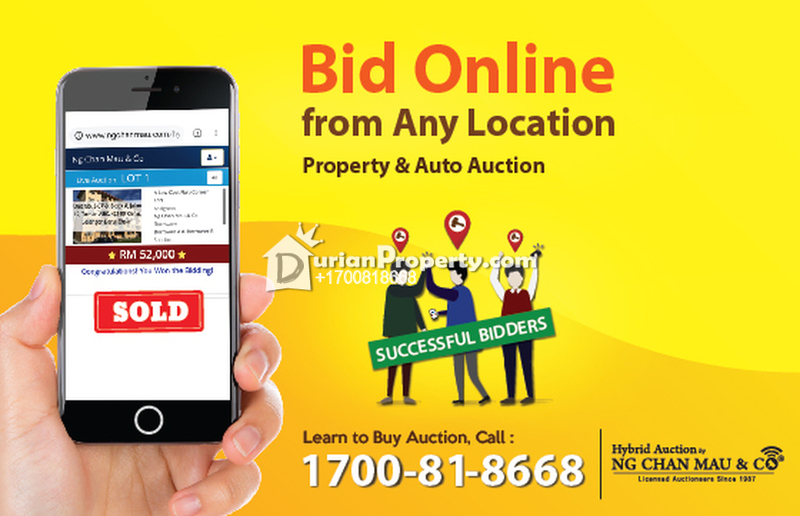 Tell Hannah you saw this ad from DurianProperty to get best deal. We are the Bank's appointed Auctioneer. Call Us now at 1700-81-8668 or WhatsApp 012-520 5600 for further assistance. ** This is a fresh new auction listing, details displayed may incomplete at the moment, please contact us for further information. ** Pictures displayed are for illustration purpose to provide you a general idea on the property. ** Free information, advice provided and no commission will be charged. Please see more of my listings at http://Atikah.myagent.my/. You may view Casa Impian Profile here.